On Wednesday, 107 Republican members of the House of Representatives sent a letter to the president expressing concern about broad tariffs and calling for him to focus any action on unfair trading partners, like China. The administration began talking more openly on Wednesday about exemptions for countries that satisfy certain conditions, backing away from the bazookalike approach Mr. Trump announced last Thursday in a hastily arranged meeting with steel and aluminum executives. In an interview on Wednesday afternoon with Fox Business, Wilbur Ross, the secretary of commerce, said countries would be exempted if it served American national security interests. “It’s defined to include effect on employment. It’s defined to include effect on individual industries. It’s not the conventional definition of national security,” he said. Mr. Trump appears to be taking advantage of the vacuum created by the resignation of Mr. Cohn, who was the plan’s loudest opponent, to push the tariffs through. Mr. Cohn, who argued that tariffs would create a global trade war, found himself overshadowed by a group of more protectionist-minded advisers who have urged the president to follow through with the get-tough pledges he made during his campaign. Those advisers have been in ascendence, including Mr. Navarro, a trade skeptic who had been sidelined by Mr. Cohn. Mr. Navarro was recently promised a promotion and made the rounds on Sunday talk shows to promote Mr. Trump’s trade policy. Mr. Ross succeeded in moving up last week’s announcement, over the objections of Mr. Cohn. Robert Lighthizer, the United States trade representative who has pushed trading partners to accede to the country’s demands, has become a trusted adviser to the president. That group has a much more binary view of trade, seeing it as a zero-sum game in which the United States is losing. The advisers have pushed the president to withdraw from trade deals like Nafta and to carry out the type of stiff tariffs that Mr. Trump seems poised to impose on steel and aluminum imports. They see the United States’ ballooning trade deficit, which hit a nine-year high on Wednesday, as evidence that more needs to be done to put the country on the winning end of global trade. The rise of the populist faction is already fanning fears on Wall Street and among foreign officials that Mr. Trump could start and escalate a global trade war or take a more combative stance toward trading partners and international groups like the World Trade Organization. Foreign officials viewed Mr. Cohn as a reliable ally on global economic issues and as someone who could express their views to the president. The prospect of approaching tariffs has set off furious lobbying from governments around the world, who have tried to sway the administration with offers of friendship and threats of retaliation. On Wednesday, the European Union released a list of American-made goods it would penalize if the tariffs went through. China cautioned that it was prepared to “make an appropriate and necessary response” should the United States impose the tariffs. Many companies and unions, including the United Steelworkers, have pushed for Canada to be exempted from the plan. The country is the largest source of both steel and aluminum for the United States, and many companies have operations stretching across its border. Jim Mattis, the defense secretary, has also urged Mr. Trump to proceed cautiously, particularly with regard to allies. “Hopefully as the administration works their way through the application of these tariffs, they’ll look at targeted tariffs against the worst violators,” said Leo Gerard, the president of the United Steelworkers. The United States plans to impose the tariffs by utilizing a little-used legal provision that allows the president to take action to defend national security. The administration argues that imports have degraded the industrial base necessary for the United States to make tanks, weapons and other military products. But trade lawyers say that linking Canada and Mexico’s exemptions to Nafta, as the administration is doing, could ultimately open the United States up to more legal challenges at the World Trade Organization. If Canada and Mexico could be excused from the tariffs for reasons unrelated to national security, that brings the administration’s entire rationale into question. If the World Trade Organization rules against the United States, it is unclear whether the Trump administration would listen to the ruling, or move to leave the organization. Prime Minister Justin Trudeau of Canada, speaking before Mr. Navarro made his comments, sounded cautious about the possibility of an exemption. “We know from experience that we need to wait and see what this president will actually do,” Mr. Trudeau said in Toronto. Terry Sheehan, a Liberal member of Parliament from Sault Ste. Marie, Ontario, a northern city economically dependent on a steel mill, said he spent most of Wednesday calling American lawmakers to make Canada’s case for an exemption. “Until we hear the president saying that there is an exemption, we will continue to do what we’re doing,” he said. Mexican officials continued to say they would retaliate if the United States pressed ahead with tariffs. On Wednesday, top Mexican officials met with Jared Kushner, the president’s son-in-law and senior adviser, as he paid a state visit to President Enrique Peña Nieto at the presidential residence in Mexico City. It was unclear if tariffs came up. The Mexican foreign minister, Luis Videgaray, has developed a close working relationship with Mr. Kushner, but the repeated contacts between the two have failed to sway Mr. Trump’s policies toward Mexico, characterized by a crackdown on undocumented immigrants, an insistence on building a wall on the southern border and repeated threats to pull out of Nafta. Mr. Kushner and Mr. Videgaray had been planning on a meeting between the two presidents, but the arrangement collapsed last month after a testy phone call between the two leaders. As the White House prepared for a formal rollout, people familiar with the deliberations urged caution. They pointed to an event last week, when Mr. Trump called an impromptu news conference at which he announced that he intended to place tariffs of 25 percent on imported steel and of 10 percent on imported aluminum. 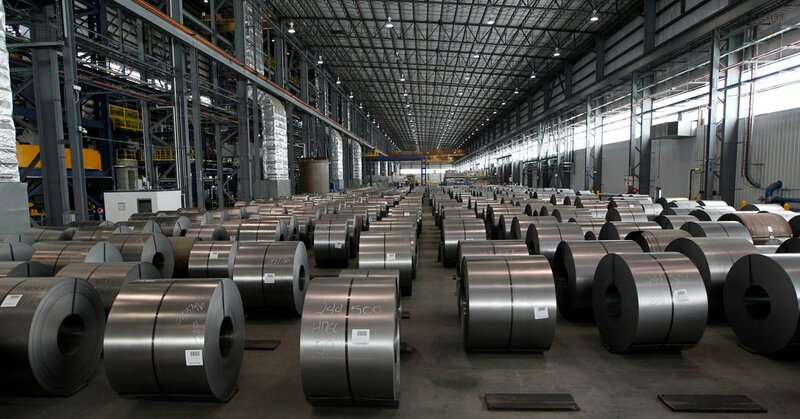 The tariffs would fulfill a key campaign promise for the president, and it has garnered support from metal companies, from unions and from Rust Belt politicians. United States Steel Corporation announced Wednesday that it planned to reopen a blast furnace at a plant in Granite City, Ill., to support an increased demand for American steel that they expect as a result of the tariff. Thomas J. Donohue, the president the U.S. Chamber of Commerce, said his group was “very concerned about the increasing prospects of a trade war,” which he said would put recent economic gains at risk. “We urge the administration to take this risk seriously and specifically to refrain from imposing new worldwide tariffs on steel and aluminum,” he said.